A while back I did an Instagram story about how I meal plan. This was in answer to the often asked question about how everything gets done, because raising kids and running a business are both full time jobs. 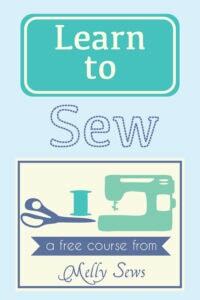 So, today’s post is going to be about meal planning and not a sewing tip or project. That way those that wanted to know more about my process can save it. This idea was born out of my eternal question re: organizing my house and life, which is how can I make fewer decisions about the things I don’t like spending time on? When you eliminate the need to make decisions, you save time, and I try to apply that principle to all kinds of things in order to streamline my life. You’ve probably heard of CEOs who wear the same uniform outfit every day so that they don’t have to decide what to wear. That is not me because I like to decide what to wear on a daily basis. However, I hate deciding what to eat and shopping to make that happen. If I ever win the lottery I want to hire a full time chef so that healthy food will just magically appear at meal times. Since that’s unlikely to happen, here’s what I do instead. It starts with this calendar on our wall. We’ve had this command station on our wall for years; it’s something the Coach and I designed and built before we even had kids. We only used it to note events – football games, work things, etc. For meal planning, we would just decide each week on grocery day what we wanted to eat that week. 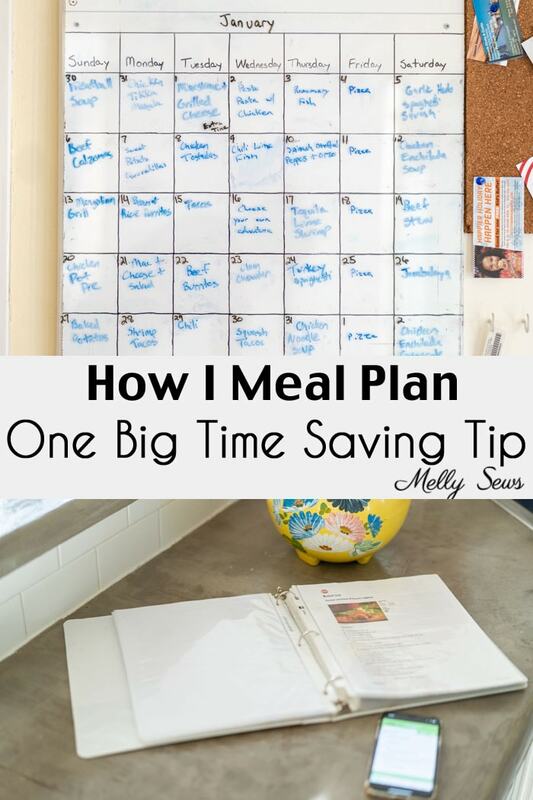 One day – not that long ago, within the last 3 years, we realized that if we just put meals on the calendar, we wouldn’t have to plan every week. We also realized that we could probably come up with 35 meals (since the calendar has 5 weeks on it) that our family would eat at least once a month. And that’s how we started meal planning this way. Each night, prepare and serve what is on the calendar and check the next night for ingredients that need to defrost, etc. 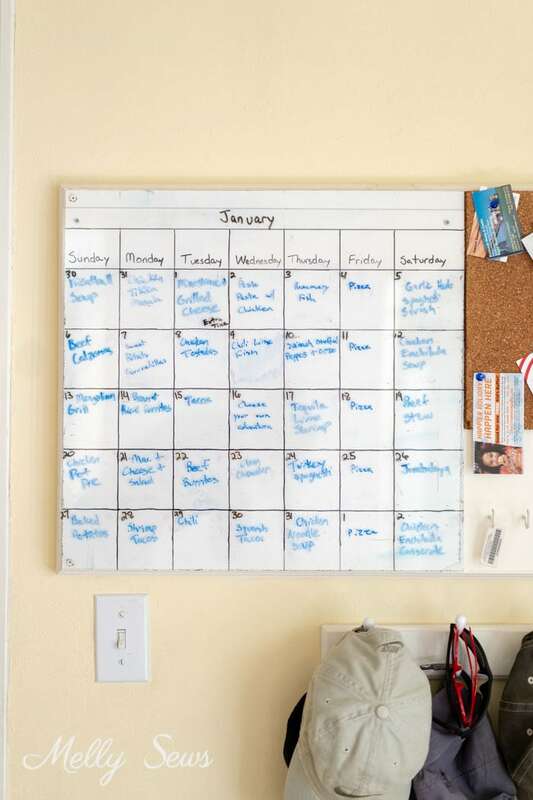 For extra easy meal prep, put all the recipes from the calendar in plastic sheets in the same binder. We change meals out about once every 3 months or so. That doesn’t mean we change all 35 spots, we look at what we’re tired of eating or what doesn’t make sense seasonally anymore and just change those, leaving the rest of the calendar intact. So I might swap soups out for salads, for example. When you plan a whole month at a time, it’s easier to reach nutrition goals. For example, we try not to eat read meat more than once a week and try to eat vegetarian at least once a week. We also eat a lot of chicken, and are able to space those days over the month so we’re not eating chicken two days in a row. Same with tacos – there are a lot of variations of tacos on my menu, and we try to space them out. You can also take a look each week at what activities you have going on and do swaps within the week. I usually do this while we’re making the grocery list. For example, if we have a meal that takes a lot of prep time on a night one of the boys will have soccer practice, I’ll swap it with something that takes less time to make or can be made in the Instant Pot or slow cooker and cook while we’re gone. Even when we do swaps, the grocery list making goes by quickly because we’re not starting from a blank “What do you want to eat this week?” slate. Since my kids can read, I don’t have to answer the “what’s for dinner?” question any more. They can easily see what we’re going to be eating, and prepare all their whining accordingly. Ha! At the same time we decided to plan a month at a time, we were getting frustrated with recipes that were on phones, in books, and handwritten stuffed into books – we couldn’t keep up with which recipe was in which place. And when I say we, I mean the Coach, who does do a lot of the cooking but doesn’t do a lot of remembering where recipes are. So we grabbed a binder and plastic page covers and made the recipe book. We printed the recipes that were online, copied the ones from in books, and gathered the ones that were handwritten. 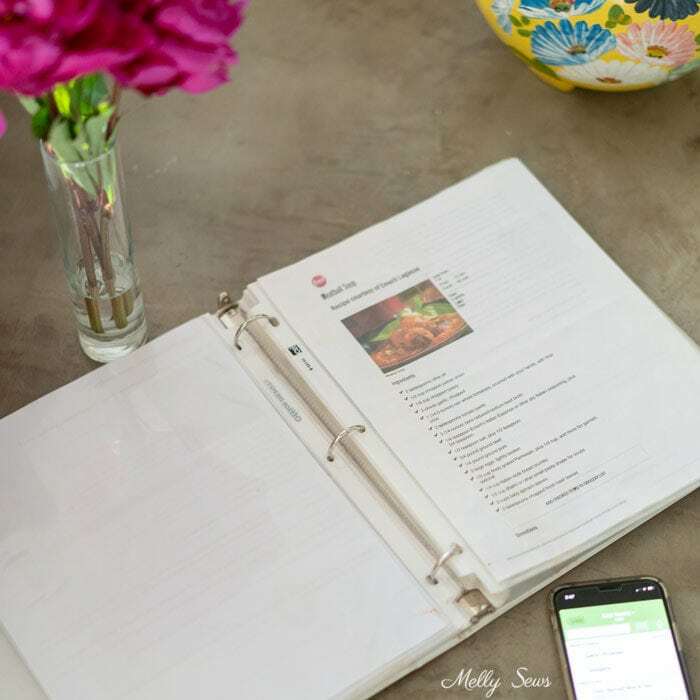 Having all our most used recipes in one place makes it easier to check ingredients while making a grocery list, and the Coach never has to guess (or ask me) where to find the recipe if he’s cooking. Finally, the Choose Your Own Adventure square. The first time we did this we were stumped after 34 meals. So I suggested we plan one night to go out to eat on purpose (as opposed to our usual reasons for going out to eat – either no one feels like cooking or we’re missing ingredients that got left of the grocery list and I don’t figure this out until dinner time). We named it Choose Your Own Adventure night so that the kids would get excited about trying out new local restaurants and different kinds of cuisine. Austin is such a foodie town that we always have new to us things to try, and I love that my kids see it as an adventure instead of whining about trying new foods. For anyone who is interested, here are links to the linkable meals on the calendar I have pictured. Many of our regulars are recipes I have handwritten from friends or relatives, so I can’t link to those. Also note that I add side dishes to most of these, and the side dishes aren’t listed on my calendar. Typically I add salads, bread and/or vegetables to each meal. That’s a great idea. I put a list together of our standard favorites to reference a few months ago, but I hadn’t thought to schedule it out like you have. I’m stealing your idea for sure. I just think you’re an amazing HUMAN BEING and I appreciate YOU. I ran into a YouTube post you did on “zipper pouches” – I ended up making 20+ for Easter (filled with candy) in 2017. Been following you ever since. 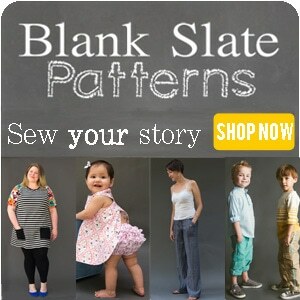 Thank you for sharing this great tips. I would recommend an app called Paprika for saving recipes and favorite menus. I LOVE it. All my recipes are in the app which is on all my devices. One huge benefit is that when I am at the grocery store I can pull up a recipe to check the ingredients. If I am visiting one of my children and they want me to fix one of their favorite dinners, the recipe is right there on my phone. Too many advantages to number here. Worth checking out. My entire life, I wanted to have a “Command Center,” and finally got one. No calendar, but a great big white board on the back of my first-ever real pantry! Quite cool! (Wish I could add a pic here.) Your idea is great even though it’s just the hubs and me at this point w/ all 3 kids raised and launched. We try to make one night a week “Salad Night.” I don’t like vegetables, so Hubs creates great “Craft Salads” (sort of like craft beer but with lots of salad goodies that I find edible when “saladified”). Even with just the two of us, we have the “what’s for dinner tonight?” discussion most mornings. He won’t eat anything with gluten in it, so no pasta quickies or even tacos unless they are corn. Thus, we have a meal-planning challenge due to the special diet issues. Your idea is just what we need! Brilliant for anyone who needs to attend to a special diet and make sure the necessary nutrition is addressed as well as NOT including the unwanted gluten. Thanks for this inspiration! I do something similar. I used to have a calendar (got it for free at a bar on New Year’s) that I would plan for a month of dinners and buy 2 weeks at a time. Since I refuse to buy a calendar, it’s now on my phone calendar which has proved beneficial. To Penny who asked about leftovers, originally I figured they would be lunch but found that wasn’t working with only two people to feed. So, I make whatever is looking to be the busiest night of the week leftover night. Also part of why I only shop for 2 weeks at a time, and try to make sure to have similar ingredients each week.